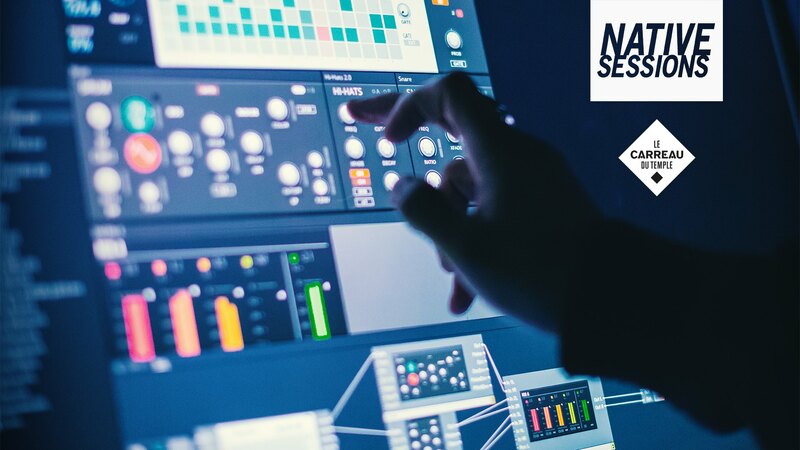 NATIVE SESSIONS : FUTURE TECHNIQUES – February 17th 2018, Paris. BLINKSONIC will activally take part of the next NATIVE SESSIONS, at Carreau du Temple in Paris, France, the 17th of February at 3:30pm. Sylvain Stoppani will perform a set of fresh new tracks with only MASCHINE and BLINKSONIC instruments, in a #noisy #ambient #stonertek #glitch #electronica mood ! After the showcase, Sylvain will unveil some features of the instruments he designed with REAKTOR. The opportunity to discover how a protocol, the NKS (for Native Kontrol Standard) format, allows to propose ever more creative instruments while guaranteeing a simple tangible experience. We look forward to see you there !! The event is on free access. Only need to register before.